Invented in 1984, 3d printing technology has slowly started to become popular just couple of years ago. Nowadays, it is making a remarkable impact on the scientific world and on the domestic world of everyday life of everyday people. Used in many fields and areas, for example medicine, space travels, home management and building, architecture and security mechanisms. How does it work then? Charles Hull is believed to be the inventor of the technology of 3d printing. He worked out the concept while he was experimenting with UV light. The following research slowly led to stereolitography, that is based on UV light. In 1986 Hull developed rapid prototyping in his company 3D Systems. His main goal was to find a means to create objects and their prototypes very fast. Eventually, prototyping is a way of creating various objects of any kind by simply adding new layers of material. As in many sciences, there are many kinds of methods used in 3d printing. One of them is FDM (Fuse Deposition Modelling), that in the process uses melted plastic. The leading advantage of this technique is the possibility of creating objects of any size, that additionally are immune to damage. Different method is SLA (Stereolitography). This type, on the other hand, is based on a process of photopolymerization. This process relies on linking molecules by treating them with a beam of light. SLA’s main advantage is that it is very precise and operates with high quality, which result in high quality products. Another technique is SLS (Selective Laser Sintering–nylon sls printer). This one is most popular and is used most often, as it the price of the products is adequate to quality. The component that used in SLS is powder. The material is sintered by a laser. In the process, the pilot product is very resistant and have a long endurance. Where can one find the products of 3D printing? 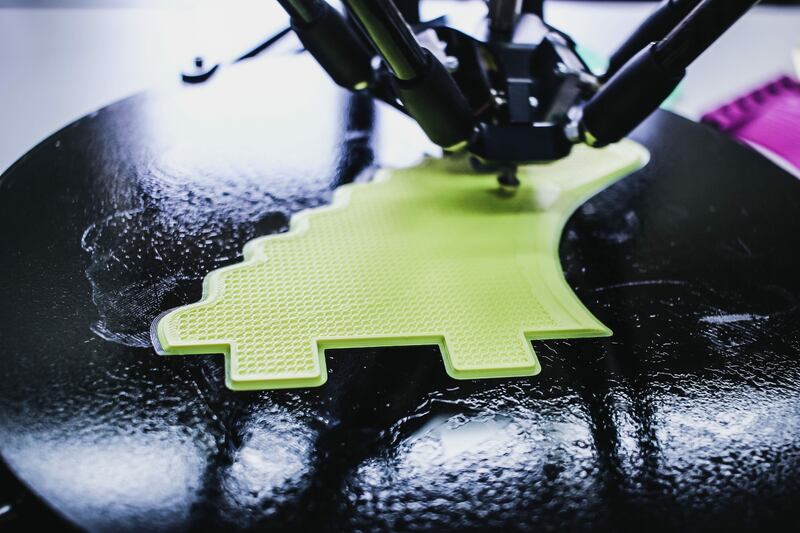 3D printing makes it possible to produce objects of any kind and shape at any speed. Additionally, it is also manageable to reshape items and objects already existing or printed before. As 3d printing is gaining popularity and, without doubt, higher efficiency, items of 3D printing are used in industry, medicine (especially stomatology), advertising, space exploration, architecture, army, even fashion along with shoe industry. They are continuously improved every day. An object that is as new as highly in demand is an air pollution mask. The best thing about them, is that they are protecting people from high level of air pollution in the biggest and most urbanized cities all over the world. Which is why the masks are very important and needed as the pollution gets higher and higher every moment. What is also worth mentioning, there are sizes for both adults and for children. In medicine, there are exoskeletons used. They were created in order to help people, who suffer, for example from SMA (Spinal Muscular Atrophy). Thanks to this technology, these people are able to move their hands or legs with more control. This control matters even more to children who are in their growth. The limits of the kind of the product is only human’s imagination. You can create shoes, glasses, components of space ships and a lot more. 3D printing is used in everyday life, and it is reassuring that is highly developed every day, being more and more available for everyone. There are a lot of restaurant owners who are looking for ways that they can make it easier for their clients to order foods and drinks. If this has been an issue for you and your establishment, it is about time that you made use of professional digital menu boards. These boards are ideal because they are totally easy to customize and are simple to read. In fact, you can add just about any type of font or text to the sign as well as your logo and images that you see would fit the needs of your place of business. In order for you to get one of these digital menu options, you’re going to want to look at companies that offer it as an option. Once you do this, you can compare prices, get a feel for the specific type of choice available to you and then figure out what it is that you need right here and now. Be sure to look at the different options and know that this is something right for you. Once you have done this, you’re going to want to make use of the right menu board and then do everything that you can to customize it to fit your overall needs in the business that you are running and operating. If you want to be able to make use of this as an option and know that it is going to help you out, it is just a matter of figuring out what it is that you need right here and now. Before you know it, you’re going to be customizing a good option and see if this is something that is right for you. You’re going to want to look at this and see that this is something that you’re going to want to make use of right here and now. Before you know it, you’re going to want to take a good look at this and see if it is going to help you out. Now is a good time for you to get this type of menu board and see for yourself why it is as popular as it should be. It is time for you to make use of this and see if it is something that is right for you. Now is a good time for you to see how this is going to benefit you and what it can do for you when it is most needed. There are a whole lot of other options available to you and therefore you need to make use of this for your own self. You will want to take a good look at this and see if it is something that you’re going to need for your own company. Now is a good time for you to see if this is going to help you out and get your company working well. The advent of great technological developments and adoption has brought about a different approach to the labor sector. Humans now apparently face a tricky situation by the emergence of more efficient and intensive labor source via artificial intelligence. Instead of completely eliminating human input, production and service centers have learnt how to link job functions between humans and machines. The collaboration between humans and machines is the best methodology moving forward. Although there are certain industries that are yet to start adopting new technology, the event is inevitable. It is best that a suitable sharing of duties in a complementary format is adopted in the starting phases. How Effective is Machine and Human Co-Working Environment? Artificial intelligence is a creation of human-initiated research. Though the eventual product is perfected for efficiency in the work environment, there are certain elements that may fall short. The main importance of a combination of efforts between machine and human input is that both fill out the gaps of the other. Where machines fall short, human input is essential and very useful. Machines are being developed and periodically updated to perform human functions better. On the other hand, human skill is gaining better momentum and leading to increased innovation and better output. In a working environment, human labor is divided into supervisory and skilled staff. Human processes are controlled by humans whereas the machines possess an automated control process that is regulated by humans too. A human machine collaboration creates a system where there is a compensation of visible weaknesses and magnification of strengths. This creates one of the best formulas for the best output. Artificial intelligence, the main component of machines, utilize sophisticated processes that automate most functions. Once you consider such benefits on top of additional input from normal human labor, you realize that there will be a better production efficiency. They elevate human capabilities allowing them to explore better implementation strategies that they could not access before. The core advantages of depending on a human-machine system in your firm are numerous. It can lead to better profits due to a better working environment. Processes get faster rates of completion from the implementation of complementary roles. Industries will start realizing increased employment. This might sound strange but artificial intelligence creates more reliance on human input. A machine needs a human operator hence having more increases the demand for operators. Human-machine interaction increases change in labor due to the transformation of workers. Most businesses tend to think that their employees are not ready to adopt newer technologies that promote human-machine dependability. This is because of the misconception that people are less willing to learn new skills. The best effort that an established business can do to secure its position in the industry is an early adoption of artificial intelligence. Early interaction between adopted technology and humans will prove more effective in the transformation to a better workforce. Human and machine reliance is the best strategy in the current technological era. Audio technology is an ever-changing industry. As with all technology, there are constant upgrades and changes that make it an exciting industry to stay vested in. one of the more recent changes has been the advancement and redefining of an old technology known as Binaural sound. It is an exciting technology that has many future applications. Depending on the quality of the 3D mic that is chosen, there are many levels of sound that can be picked up at varying degrees of quality. By definition, Binaural microphones, also known as 3-D microphones pick up a higher grade of varying sounds in both microphones. Sounds of nature, human voice and music will come in sounding just as it does to the human listener live and will be recorded exactly that way. It will also allow for output with Binaural speakers to come out through the speakers the same way it is recorded. Binaural sound is different than normal audio recordings. Binaural sound is actually the same way the human ear hears everything. The human ear can hear all the high and low pitches of sound as well as all of the strength or softness of sound as it is played, spoken or created. By contrast, regular stereo sound is different. Stereo sound takes all sound and makes it equalized at the same level of volume. While this has certain advantages, it also has disadvantages. Stereo and surround sound is always at the same sound level that is preset by the person in charge of the sound system. Binaural sound is the exact same sound that humans and all animals audibly hear from their ears. The ability to record this type of sound was actually developed in the late 1800’s but it implementation into modern technology did not occur on a more widespread level until the IMAX experience was finally developed. While surround sound gives a person sound in a total encompassing way, IMAX Binaural sound implementation gives a person the feeling that they are living the experience live and in person. Part of this is because the sound comes out the way people are accustomed to hearing in person. This technology is also now being used in video game production as well. However, in order to record this type of sound in a way that accurately reflects the sound output, the audio creator has to use what is called a 3-D microphone. These types of microphones are not sold at all audio places. Audio enthusiasts have to go to a place like Hooke Audio or a 3-D sound specialty audio sales outlet in order to get this type of technology. What’s Different With 3-D Microphones? A 3-D microphone takes in sound just the same way human ears do. They have two ports of sound entry and are most often designed with two human looking ears placed at a similar distance apart as human ears are on a human head. This allows for the sound to enter into each microphone and be recorded in the same way as human ears hear. As technology advances, there are more and more opportunities available for business owners to accelerate their growth faster than ever before. The hitch is understanding how this new technology works and what each program can offer your specific business. Cloud computing is one of the most versatile forms of technology for almost any type of business out there. Cloud computing offers an always-on availability that your other technology cannot. Cloud providers with a good reputation tend to have 99.9 percent uptime for their servers. This means that your employees can have access to your programs 24 hours a day, 7 days a week. Access to these applications is easier than ever before and doesn’t require that your employees are at your business location. Your employees can access your network from their homes or on-site locations. When it comes to growing a successful business, collaboration is key. You need to ensure that your employees, no matter how dispersed they are geographically, can get together in one place. This is easily done with cloud applications that allow for virtual meetups and easy information sharing in real-time. This makes project collaboration easy as pie. You can drastically reduce project development time and streamline project growth with simple online accessibility when you migrate to the cloud. When you factor in the costs to bring together your employees and provide them with equipment for various locations, it can get expensive. This problem can be easily curbed by simply switching over to cloud computing. This completely eliminates the cost to bring employees physically together as they can meet up virtually for free. You can save yourself the cost of mailing traditional files as you can simply send them through the virtual network. Lastly, you can save your business from spending a ton of money on additional hardware for employees who work outside of the office. Instead of buying multiple pieces of equipment, you can simply purchase one mobile piece of equipment that can access your network anywhere. Outsourcing specific responsibilities can drastically help to alter your focus to the more important needs of your business. This was traditionally done by hiring more employees to handle each responsibility. However, with cloud computing, you can shift some of your regular duties to the cloud computing provider and focus on the important things that will move your business forward. Security is the most popular. When you hire a cloud computing service, they have a whole team devoted to the security of your cloud network. This means no more worrying about paying IT professionals to monitor your security. As your network grows, the needs of your data-storage and bandwidth are going to change. Traditionally, this would’ve been a job for your IT department. However, now it’s a job for your cloud computing provider. There are many benefits that business owners can gain by switching to cloud computing. As you can see above, these benefits are spread across a wide area. We encourage you, as a business owner, to really think about the advantages you could receive by simply switching over to cloud computing.